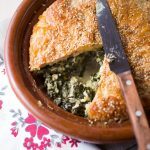 Crispy filo pastry with a creamy spinach and feta filling. For the filling, heat 1 tbsp of butter in a large pot. Add the onion and garlic and cook for 5 minutes over medium heat. Add the spinach, put on a lid and wait until it's slightly wilted. 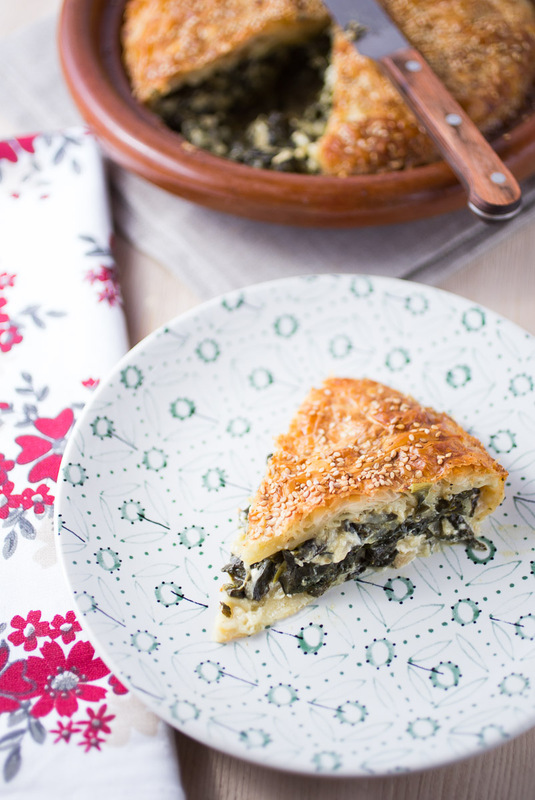 Take the spinach off the heat and crumble the feta into it. Add salt and pepper to taste and a pinch of nutmeg. In a cup combine the milk, egg, melted butter and cream cheese and beat well. Grease a 25cm round oven proof dish with a splash of olive oil. 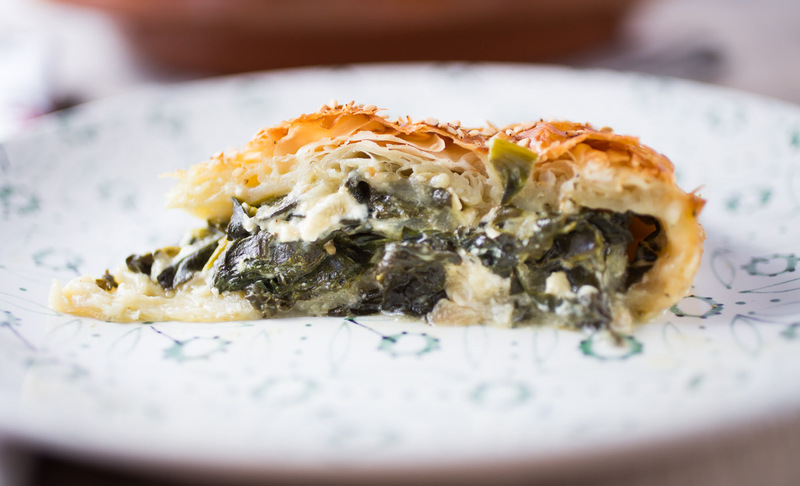 Line the dish with one sheet of filo pastry, letting the excess dough hang over the sides of the dish. Don't cut it off, we'll need it later. Brush the first layer with the milk and egg mixture. Add the second layer of filo, letting the sides hang over again and brush again with the mixture. Add a third and forth sheet of pastry, always brushing with the milk mixture inbetween, but this time don't let the dough hang over the sides. Just fold it all into the dish. 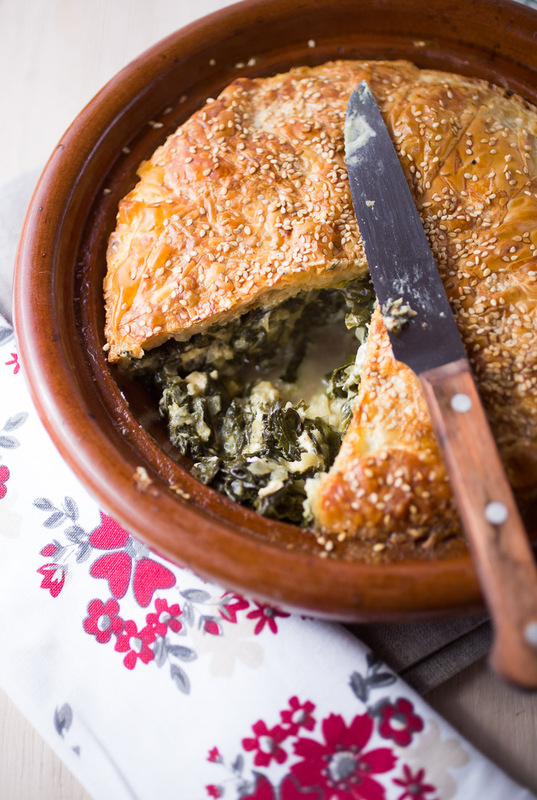 Add the spinach feta filling to the dish. Now fold the overlapping dough over the filling. Brush with the milk and egg mixture. Add the fifth and final dough sheet to the top of the pie. 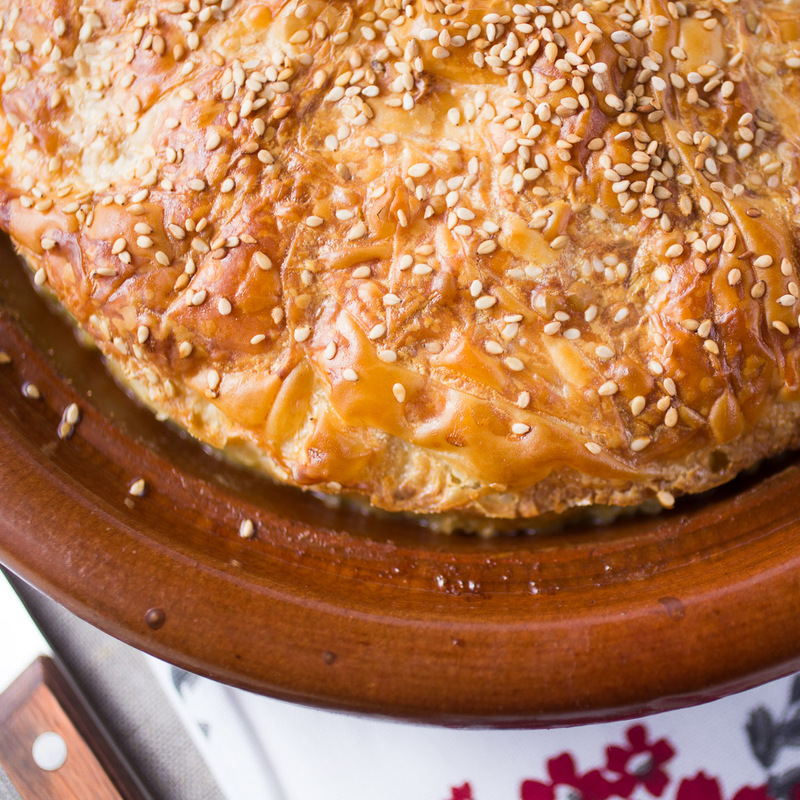 Brush again with milk and egg and sprinkle the sesame seeds on top. Bake for 40min at 180°C / 356° F or until the pastry is golden brown and delicious. Sandy. Designer and photographer. Loves to cook. Loves it even more to eat. The title really says it all. 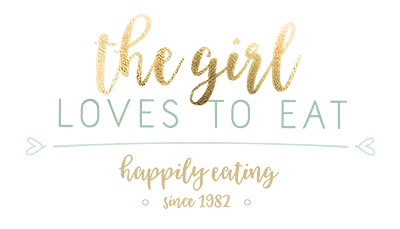 Welcome to my cooking adventures... for better or worse..
@2016 - The Girl Loves To Eat. All Rights Reserved.